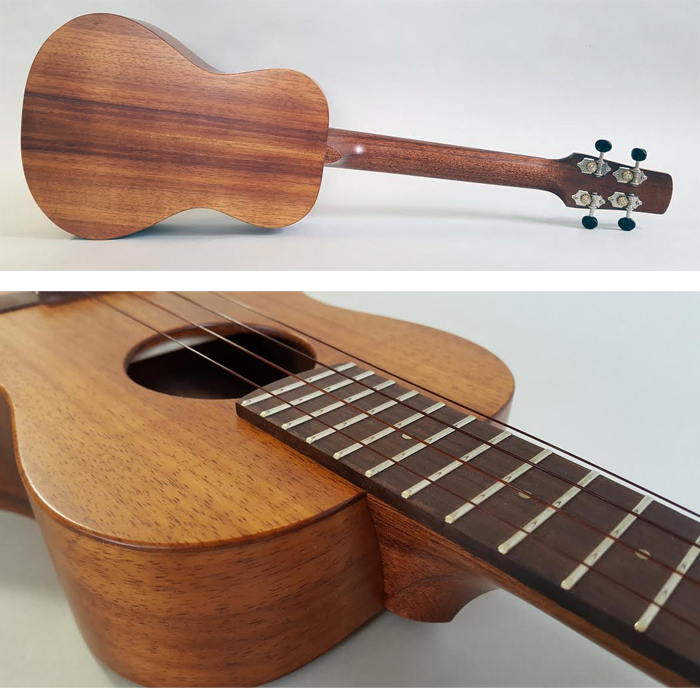 This is a great Hawaiian classic style tenor ukulele (#77816) right from the bouncy, chirpy sound, down to the lovely unadorned koa of the body. It has a loud voice with plenty of sustain to the notes and has our usual even dynamic voice where the strings are perfectly balanced. The neck is made of Senegalese Khaya topped with a fingerboard made from South African leadwood or Mgurure. The tuners are geared Der Jung’s and the saddle and nut are made from Corian. Finished in Matt cellulose it comes with a hard shell case.